Pro Travel Planner is the ultimate Travel Organizer that will allow you to easily coordinate all your travels’ logistic and collaborate instantly with multiple travel buddies… It includes Travelers’ information, Lodging, Points of Interest, Restaurants, Transportation and local contacts, all of it linked to a detailed Timeline or on the Map. 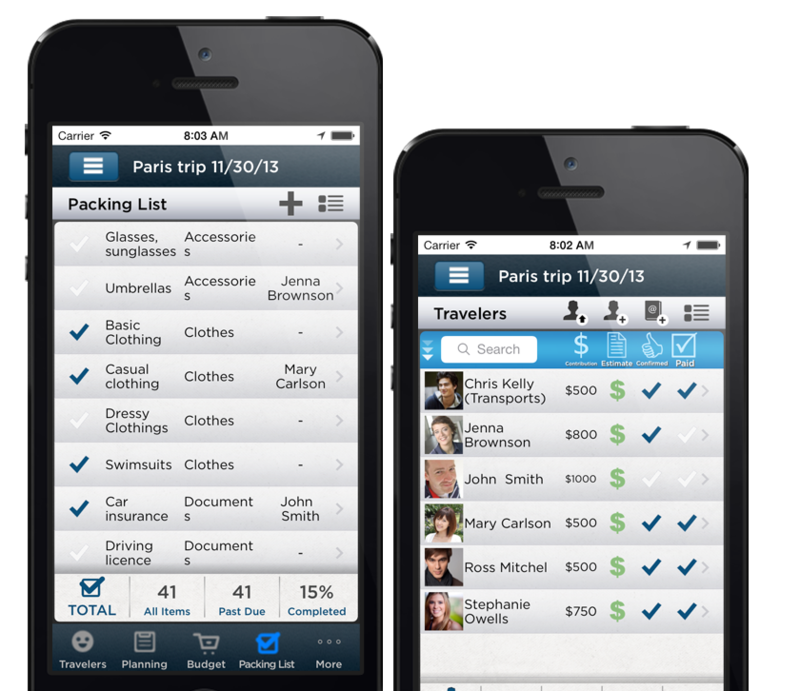 Pro Travel Planner also includes a collaborative Packing List so that you can visualize or assign Items to your travel Buddies. 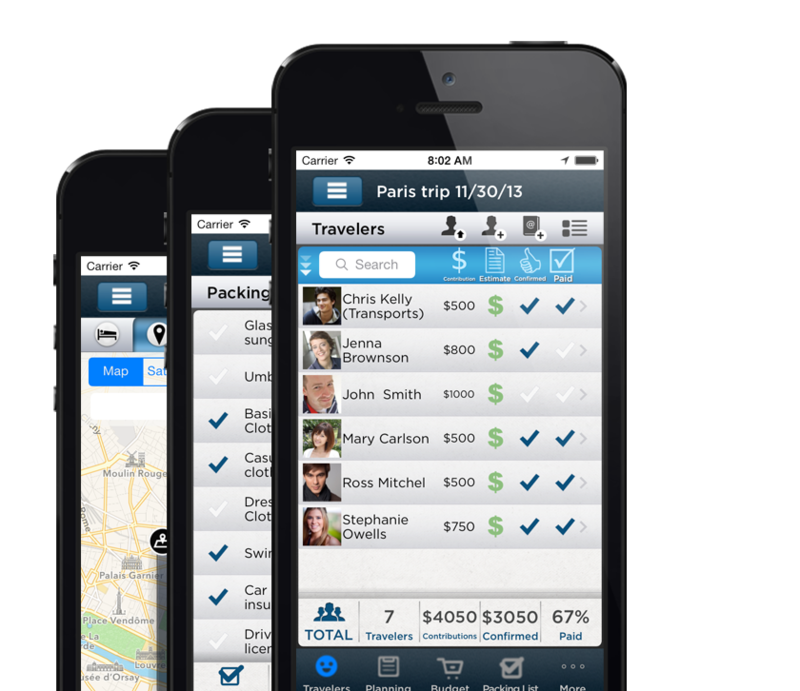 Invite your Travel Buddies to Pro Travel Planner and see their statuses in real time, provide them with a contribution estimate and track their RSVP and payment. You can also call, text or locate their address on the Map in a single touch! Easily manage your Lodging, Points of Interest, Restaurants, Transportation and even track your local contacts all in one place. You can also visualize all this information on a Timeline. 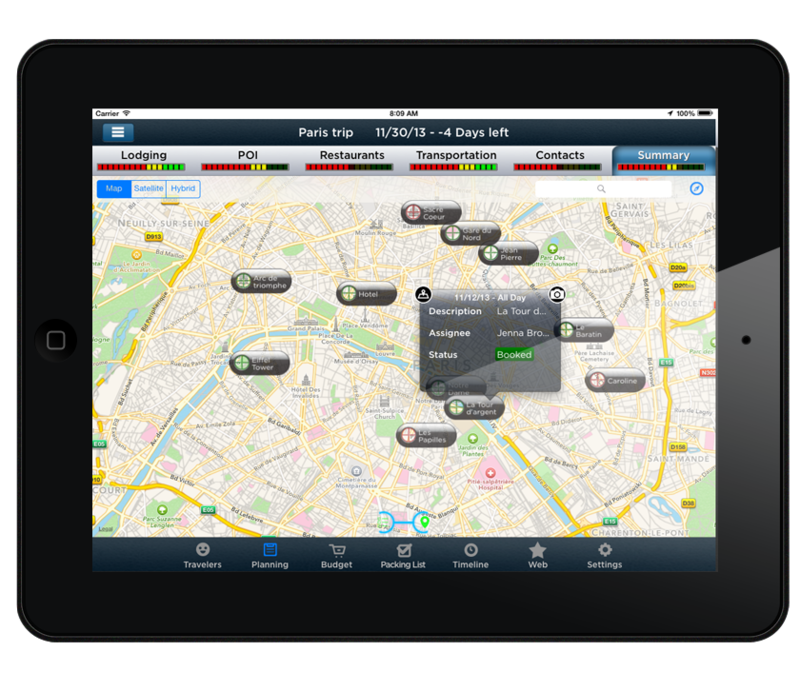 Pro Travel Planner is integrated with the iOS Map and allows you to search Worldwide Points of Interests, find any address and has the Standard, Hybrid and Satellite views. Pro Travel Planner also allows some limited views of the Maps when offline. 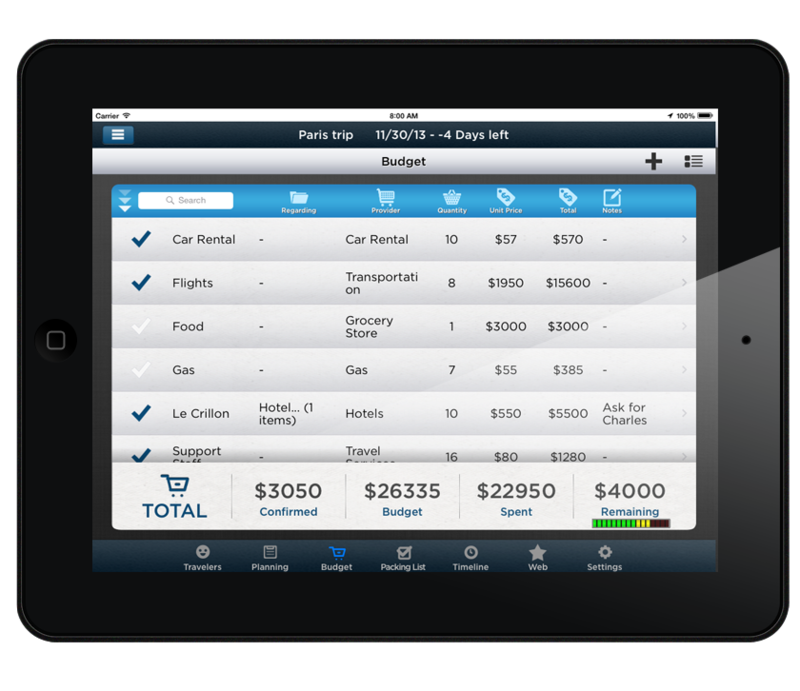 Pro Travel Planner is pre-loaded with a complete Packing List template that you can customize at will. It is easy, fast and you can share it with you travel buddies or assign them some of the items… This will make your next Camping Trip a breeze to organize! Nonetheless can you track your Travel Buddies statuses and contributions with our collaboration feature, but you can also assign planning items to others and track their overall progress in real time! We believe you should have control of your data at all times, and we made it easy for you to export the data to google spreadsheet or print PDF reports. Pro Travel Planner is there to reduce your stress by putting you in control of the information and by giving you the ideal tool to efficiently delegate any time any where!